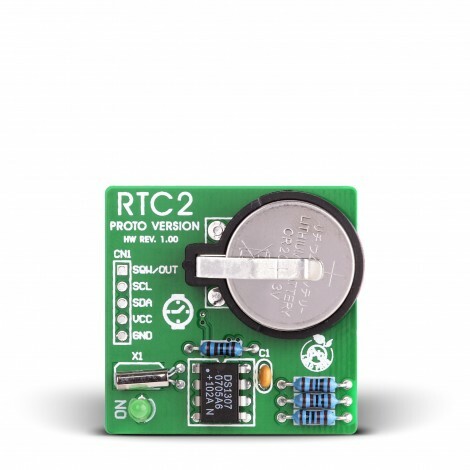 The RTC2 PROTO Board allows you to connect a prototype device to a Real-Time Clock (RTC) using DS1307. As soon as you establish connection you are ready to keep track of real time. There is also an on-board battery for power supply backup. 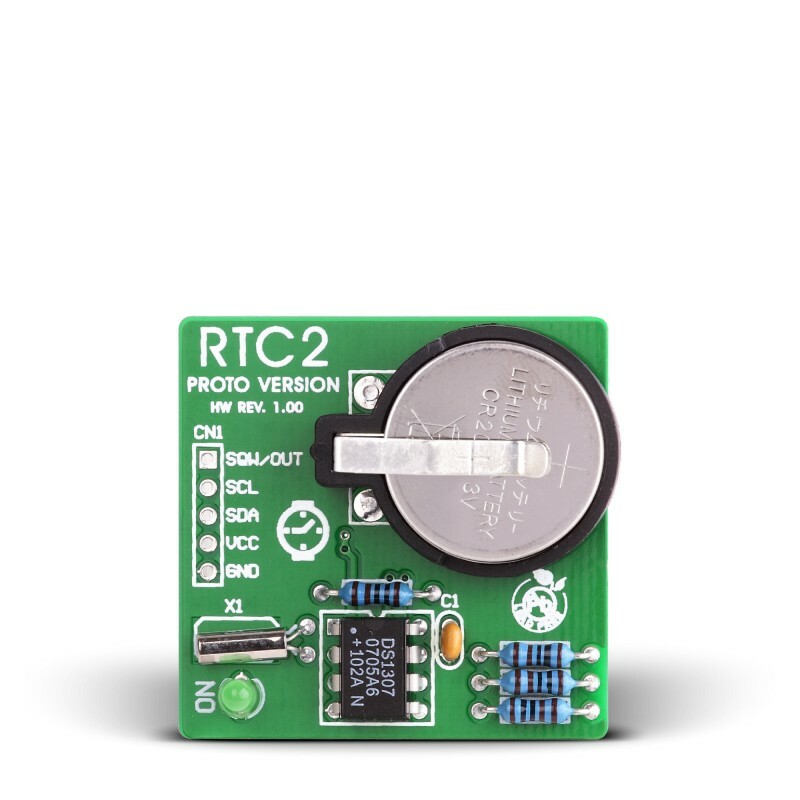 The RTC2 Board features the DS1307 serial real-time clock (RTC). It is a low-power, full binary-coded decimal (BCD) clock/calendar plus 56 bytes of NV SRAM. Timekeeping operation continues even when the power supply goes off as it is then powered from the backup supply. It is easily connected to standard prototyping boards. The board comes with the appropriate schematic and software examples.